More than this, Tarverdyan wants to see Rousey take on the most dominant athlete in female combat sports, Cris Cyborg. The problem is that Cyborg does not seem too keen on the idea of taking on Ronda Rousey anymore. The Brazilian, who reigns as the UFC women’s featherweight champion, spent years pushing for the opportunity to fight Rousey prior to her dramatic fall from grace. “Now, if she wants to make a good fight for the fans, we can make it at WWE,” she said. “It would fit perfectly [for her] to go to Hollywood, and for me would be another challenge in my career. Tarverdyan’s insistence that a matchup between his pupil and Cyborg would be a good one may be slightly off the mark. Rousey looked completely out of her depth against bantamweight champion Amanda Nunes in her last outing and with just two fights (and two severe beatings) in two years, it is hard to see positives in her ability to beat the strongest female fighter on the planet. While the Glendale coach’s words may be part of building up media attention for Rousey’s foray into boxing or a genuine desire to see her back inside the octagon, Tarverdyan’s status as a much-maligned figure in MMA leaves questions. It is highly doubtful that we will see the return of Rousey but there is also a shared sentiment that her husband, UFC heavyweight Travis Browne, may also walk away from the sport. What both fighters hold in common is that they are both Glendale Gym students. “Whenever fighters come from knockout losses, I’m very powerful when I make statements, when I tell them things to do,” Tarverdyan said. “I want them to do it. I coach, but I demand. I want them to do it when I coach. I’m hard, I’m strict, I want discipline, I want work ethic. That’s what I want to see in my gym. So I give that and fighters like it. Sometimes they come from losses, it’s difficult to pick them up mentally and physically. 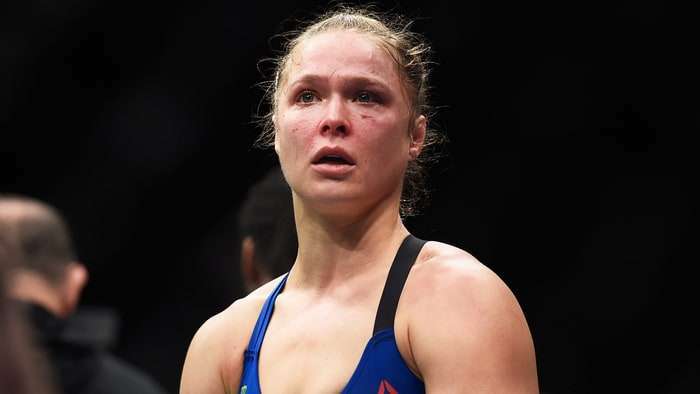 Quite simply, it appears that Rousey has had her day in MMA. Cyborg, indicating that she is happy to entertain a payday in WWE with Rousey but has no interest in a fight under MMA rules explains a lot. It would be a massive surprise to see this fight happen now, but nowadays in the UFC, anything can happen.